Motivated by the teacher, your children will learn basic vocabulary in a fun, relaxed environment. Our programs offer rigorous academic objectives while keeping children happy with games, songs, arts and crafts activities, all in a French environment! Book in advance for term. Classes offered for toddlers, ages 4-7 and 8-11. Oxford’s local and family owned tutoring company for private tutors. We match students with professional tutors for one-to-one tutoring for Primary, SATs, Common Entrance, GCSE/IGCSE, International Baccalaureate and A-Levels. Our tutors travel to your home, or arrangements can be made for tutoring online or at our offices in North Oxford. Violin, cello and piano/keyboard lessons. Fees payable termly. With primary tutors in Oxford, your child won’t just build their knowledge of their school subjects, they’ll also blossom in confidence and start to love learning. Plus, we’ll gently boost their study skills and life skills. Unique free initial assessment. Your child’s tutor at Oxford Education Centres will ALWAYS be a fully qualified, career teacher. I have taught Maths in schools for over 20 years and give Maths tuition to A-level and IB students to help them achieve the grades they need to meet their university offers. Sometimes I have availability for younger years, e.g. GCSE, IGCSE, Ad Maths and Common Entrance: please feel free to enquire. I have been teaching the piano for over 30 years and have a piano teaching diploma from the Guildhall School of Music and Drama. I am currently a piano teacher at Oxford High School and teach private pupils at home. I teach from my home in Wolvercote Mondays to Thursdays. Toddlers’ Nursery French Class (age 2–4)) – French is presented like a game whilst toddlers acquire fundamental structures. Bilingual Children’s French Class – designed for children who have lived in Francophone countries or have French family. Children’s French Class (age 5– 3) – children will acquire a useful range of vocabulary and essential grammatical structures. We also offer workshops and private tuition. 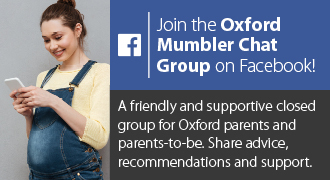 Looking for a Primary tutor in Oxford for your child? Our expert Primary tutors cover Reception through to Key Stage 1 and Key Stage 2 (including year 6), and have experience helping children with Maths, English, Spelling and Reading, whatever their ability.